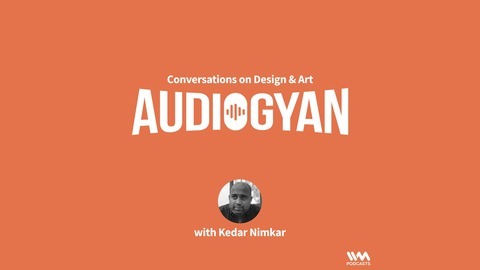 A podcast for people interested in Art, Design and Philosophy. 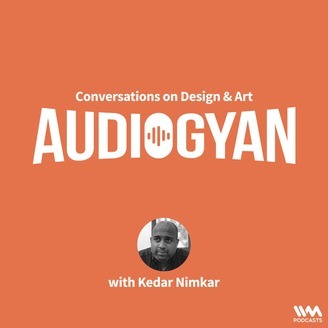 Audiogyan is an attempt to audio document knowledge, ideas and thoughts of people who have devoted their life in the field of performing arts, design or philosophy. It is a genuine attempt document and create a pool of content which can be useful for future generations to come. The podcast is mainly for Indian audience and interviews are also of Indian people. Dadi Pudumjee is a leading puppeteer in India and he is the founder of The Ishara Puppet Theatre Trust. He was awarded the Sangeet Natak Akademi Award in 1992. An alumnus of NID, Ahmedabad, Dadi has been relentlessly working in the field of puppet theatre for more than three decades. Though he formed Ishara Puppet Theatre Trust 30 years ago, his association with puppet theatre dates back to 1967. The Padma Shri awardee who is credited with giving a modern twist to puppetry by incorporating life-size puppets, music in his shows, feels that puppetry is no more bound to children and it is time to institutionalize the craft. 1. Can you start by telling us a brief history of Puppetry as an art form in India? Why Asia has a strong puppet history? 2. Historically, has it always been for children and entertainment? Where all puppetry was used? 3. In one of your articles online, you mentioned “Puppetry is gradually becoming a potent tool to address social issues. It is not just kids’ entertainment any more. Can you tell us few instances of how have you used puppetry outside it’s traditional and confined ways? 4. What all different type of puppets have been explored? String based, hand puppets, semi-sculptural…? 6. Who is a puppeteer? What does he do? 7. At Pune Design Festival, I saw a small performance of yours in which you brought life to shoes? What all can be used in puppetry? 8. What is the most important ingredient required to bring realism in a puppet show? 9. At least from my experience, Puppet "look" have a distinct aesthetic style. If yes, why? How have people experimented with different looking puppets? Can there be a almost real human looking puppet? 10. What is future of puppetry w.r.t stories, techniques, form factor and more...? How can people get into puppetry?